Garrison Keillor fired from Minnesota Public Radio amid allegations of improper behavior. Garrison Keillor on October 4, 2012 in New York City. “A Prairie Home Companion” creator Garrison Keillor announced Wednesday that he has been fired from Minnesota Public Radio amid allegations of inappropriate actions toward a co-worker, making him the second round-spectacled nerd from Minnesota to come under fire in recent weeks for workplace misconduct. Keillor hosted the wry Midwestern variety program from its debut in 1974 until 2016. The Grammy Award–winner emailed the Associated Press with both the news of his firing and a bit of a defense: The story of his alleged misdeeds is “more interesting and more complicated than the version MPR heard,” Keillor wrote. Just one day ago, in the Washington Post, Keillor published a defense of fellow Minnesotan Al Franken, who has been accused of sexual harassment and nonconsensual touching by several women. Franken participated in USO tours, where some alleged harassment and groping took place, “from deep in his heart, out of patriotism,” Keillor wrote. The sexist jokes Franken made were “broad comedy of a sort that goes back to the Middle Ages,” employed by comics as revered as Shakespeare and Bob Hope. Calls for Franken to resign are “pure absurdity,” Keillor contended, that could lead to “a code of public deadliness.” Keillor also managed to pooh-pooh efforts to rename landmarks christened for enslavers and other violent, racist historic figures in the characteristically rambling piece—arguing, perhaps, that the public should forgive and forget the vast majority of trespasses committed by famous men. Perhaps he was worried about his own legacy, which is already crumbling fast. 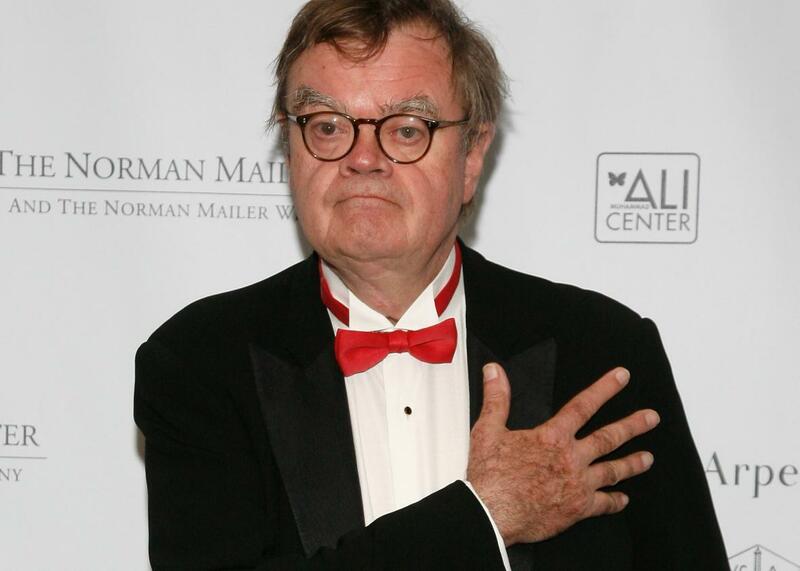 NPR’s David Folkenflik reported on Wednesday that Minnesota Public Radio will yank all past Keillor-hosted “A Prairie Home Companion” episodes off the air and rename the four-decade-old program entirely. Considering Keillor’s immense popularity among public radio diehards, this dramatic break suggests that the allegations against Keillor are severe. In a statement, a Minnesota Public Radio representative said the station was informed of the allegations in October and hired a law firm to conduct an independent investigation. “Based on what we currently know, there are no similar allegations involving other staff,” the statement said. I put my hand on a woman’s bare back. I meant to pat her back after she told me about her unhappiness and her shirt was open and my hand went up it about six inches. She recoiled. I apologized. I sent her an email of apology later and she replied that she had forgiven me and not to think about it. We were friends. We continued to be friendly right up until her lawyer called.